Antimicrobial agents exert a selection pressure not only on pathogenic, but also on commensal bacteria of the intestinal tract of humans and animals. 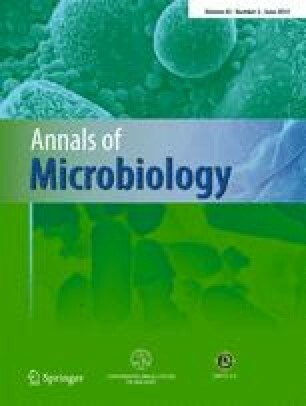 The aim of this work was to determine the occurrence of different enterococcal species and to analyse the prevalence of antimicrobial resistance and the mechanisms implicated, as well as the genetic diversity in enterococci recovered from faecal samples of food-producing animals (poultry, beef and sheep) in Tunisia. Antimicrobial resistance and the mechanisms implicated were studied in 87 enterococci recovered from 96 faecal samples from animals of Tunisian farms. Enterococcus faecium was the most prevalent species detected (46 %), followed by E. hirae (33.5 %). High percentages of resistance to erythromycin and tetracycline were found among our isolates, and lower percentages to aminoglycosides and ciprofloxacin were identified. Most of the tetracycline-resistant isolates carried the tet(M) and/or tet(L) genes. The erm(B) gene was detected in all erythromycin-resistant isolates. The ant(6)-Ia, aph(3′)-Ia and aac(6′)-aph(2″) genes were detected in nine aminoglycoside-resistant isolates. Of our isolates, 11.5 % carried the gelE gene and exhibited gelatinase acitivity. The esp gene was detected in 10 % of our isolates and the hyl gene was not present in any isolate. The predominant species (E. faecium and E. hirae) showed a high genetic diversity by repetitive extragenic palindromic (REP)-PCR. Food animals might play a role in the spread through the food chain of enterococci with virulence and resistance traits to humans. This study was financed in part by project SAF2012-35474 of the Ministerio de Economía y Competitividad of Spain and Fondo Europeo de Desarrollo Regional (FEDER) and by project of the Tunisian Ministry of Higher Education and Scientific Research.